This Valentine’s Day, Barbara Voss Kennedy ’73 can smile knowing she has experienced a love story for the books.That’s actually why she wrote a book about it. 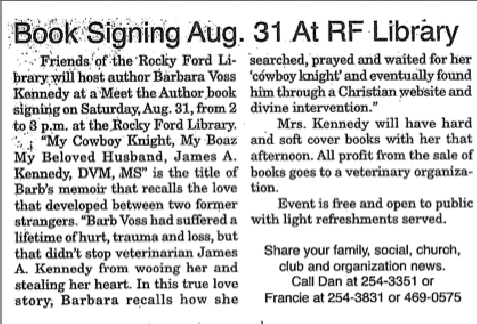 The love she shared with Dr. James A. Kennedy was too special not to share, she said.After meeting online in the summer of 2011, Barb and Jim spent a month exchanging sweet, intimate and, yes, sometimes-sappy emails, before meeting in person that July and marrying the next month. When the two met, Kennedy was at a low point in her life. 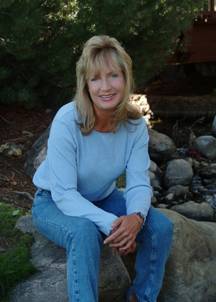 She had had three total joint replacements that left her unable to continue working as a teacher. Ready for a new chapter, she signed up to meet people online. 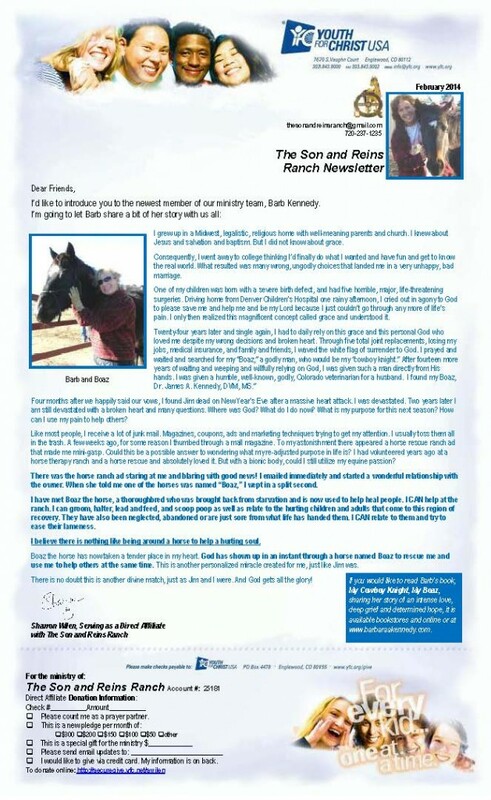 After a few not-so-great experiences, she and Kennedy, a well-known Colorado veterinarian, had an immediate connection—he attended school at the University of Missouri College of Veterinary Medicine in Columbia. 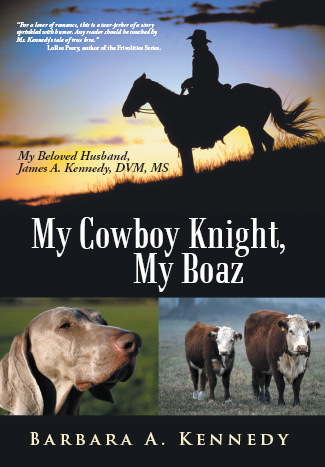 “My Cowboy Knight, My Boaz,” is an intense recap of the whirlwind relationship that followed and will make you laugh, swoon and cry. Most of the story is captured through the couple’s personal emails—more than 1,000 sent over a six-month period. Readers agree. Reviewers on amazon.com praise the book and Kennedy for being brave enough to write it. 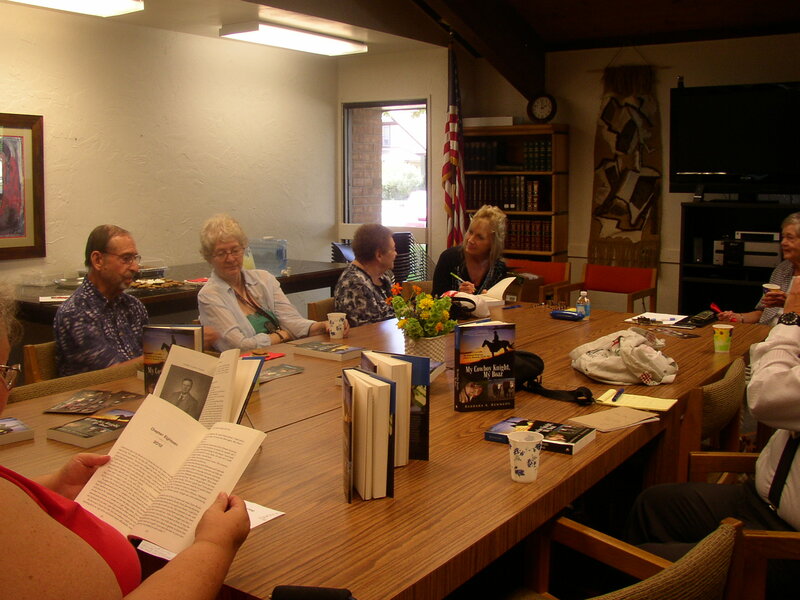 “By the time you get done reading this book (make sure you have a box of Kleenex by your side) you will feel like you know both Jim and Barbara personally as your dear, close friends,” one reader wrote. 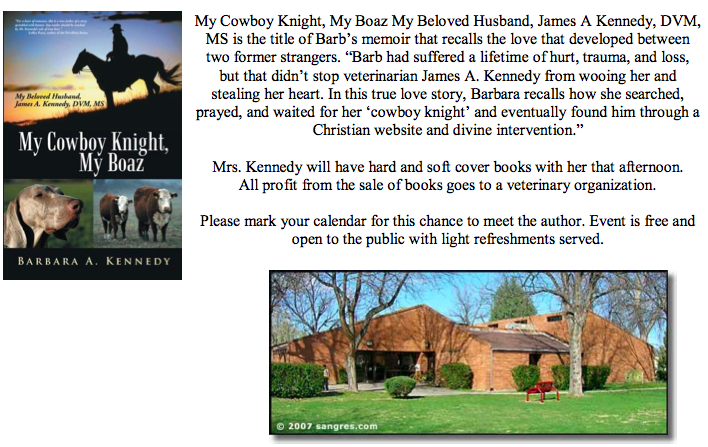 Kennedy is donating all of the proceeds of the book to Jim Kennedy’s favorite veterinary organizations. 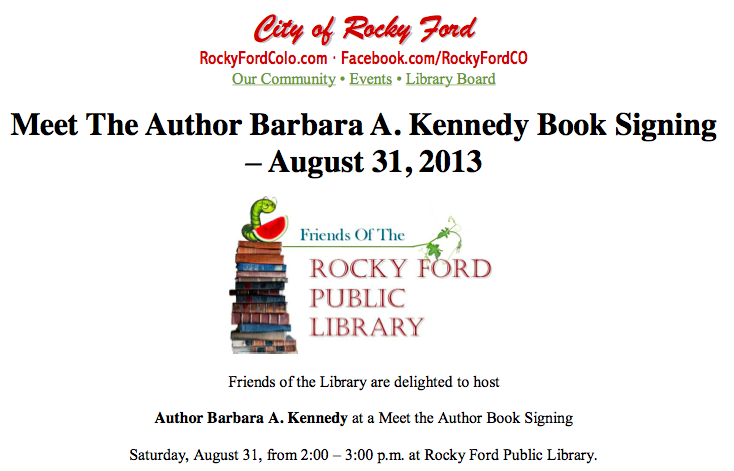 For more information, visit barbaraakennedy.com.